Sesame Street characters are getting a guernsey in the AFL with a new licensing partnership producing a range of co-branded merchandise for infants to adults. Elmo, Cookie Monster, Big Bird and Sesame Street favourites are showing their colours as Australian Football League fans on hoodies, t-shirts and baby bibs, among other merchandise. 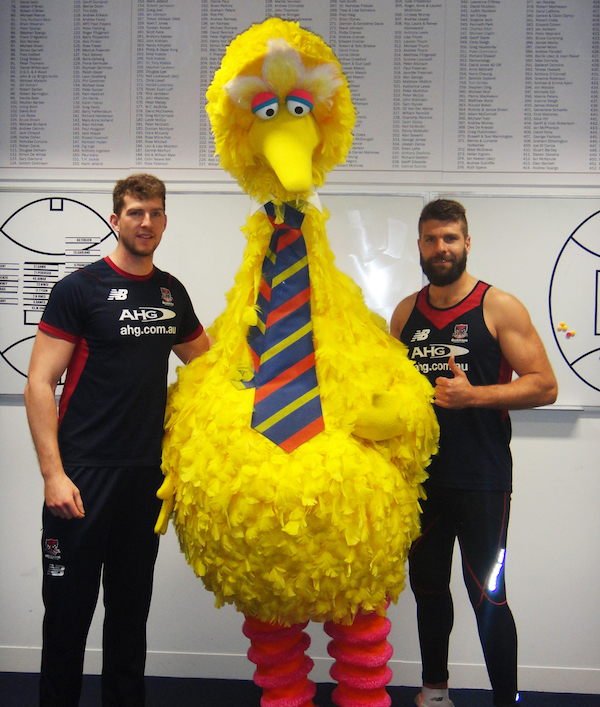 After a successful sell-out range with the Melbourne Football Club, Haven Licensing has announced it will partner with apparel and accessories producer Playcorp to produce Sesame Street co-branded merchandise for 16 of the other AFL clubs. The AFL and Sesame Street partnership has also included meet-and-greets between characters, players and fans at kids coaching clinics. 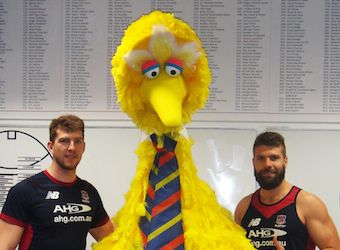 Melbourne coach Paul Roos also stars in a video in which he announces the club’s new ruckman as Big Bird. The AFL and Big Bird video has played on the big screen at major games.